Concord & 9th is continuing their celebration of three years in business and lucky me, I was able to join in on their celebration by showcasing their new stamps. Today I am featuring the Grateful for Everything Bundle. 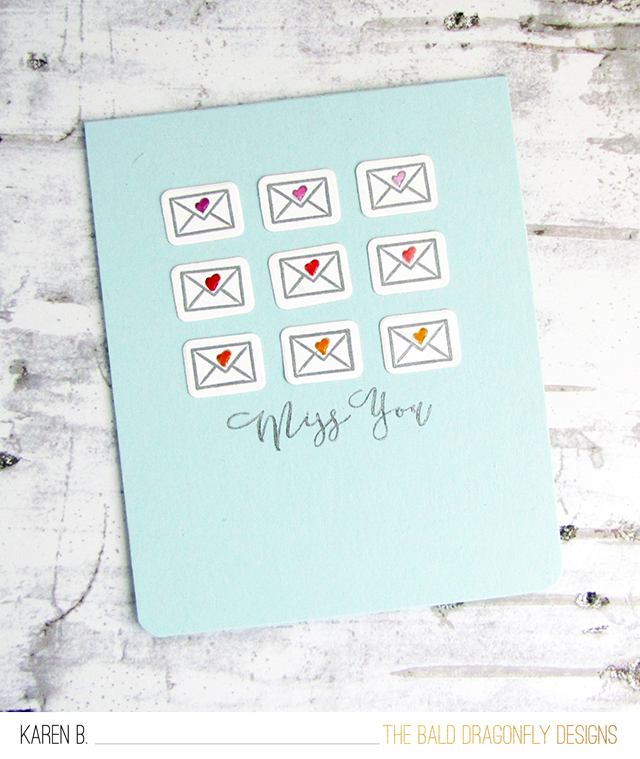 Oh my goodness, the Grateful for Everything Stamp Set is a thing of beauty! 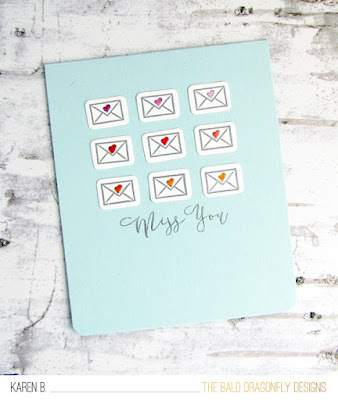 And I love how they thought to make a coordinating die with a delicate and graceful sentiment die that matches the set perfectly. I stamped the large floral fall based image with brown ink and watercolored the image using dye based ink. 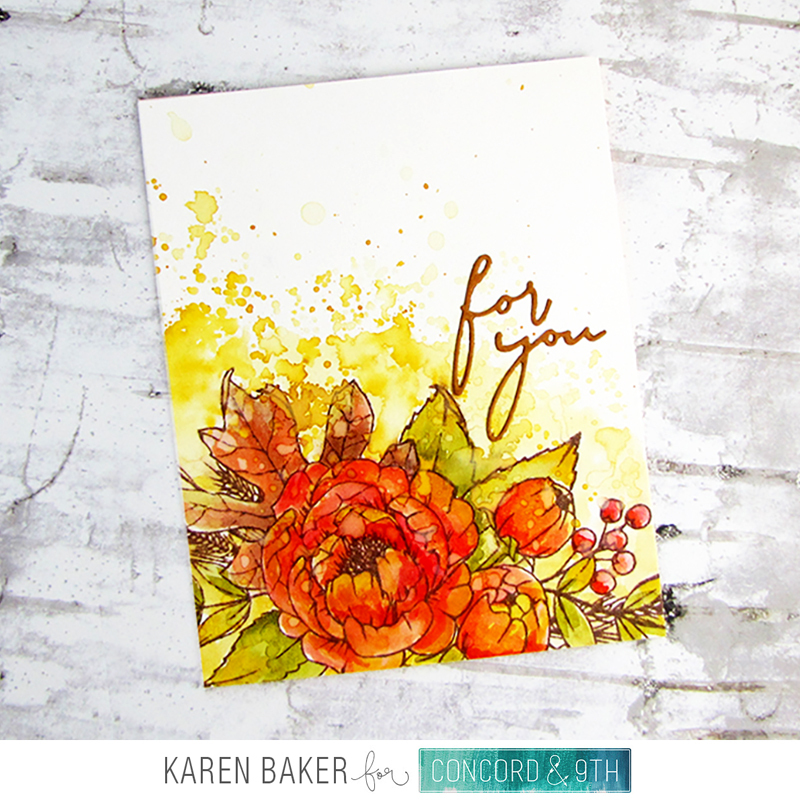 I added some watercolor splatters, as I just adore the messy look. 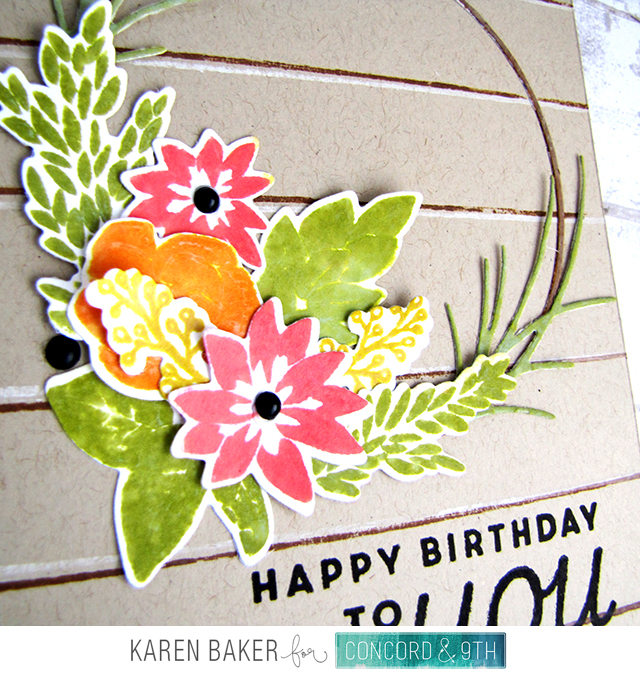 To finish the card, I die cut the sentiment in mustard colored paper and adhered this all to a card base. I hope you've had a chance to check out Concord & 9th's amazing August 2018 release! 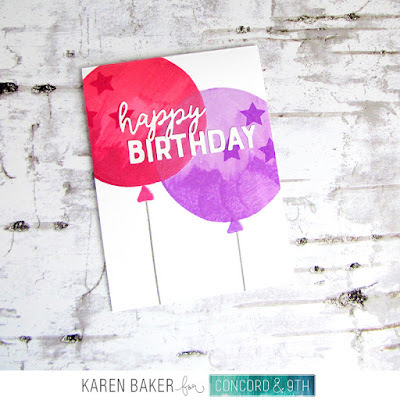 What a better way to celebrate a birthday than with a sale?? Lil' Inker Designs, one of the most fabulous stamp companies, ever, has turned eight years old! Congratulations, Laura! The sale runs August 30th through September 3rd, 2018. Everything is 25% off (with the exception of the latest release). 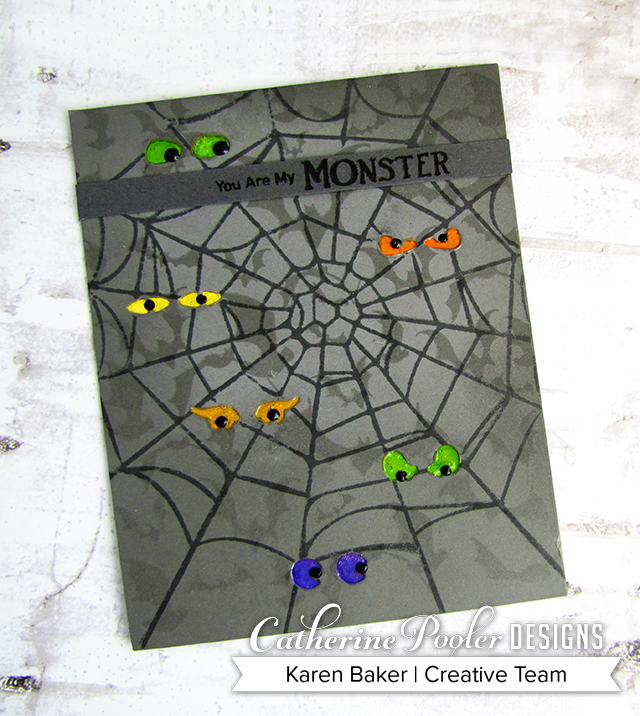 No code is needed for the sale discount, just add items to your card for the sale price! Tools and accessories are half off! 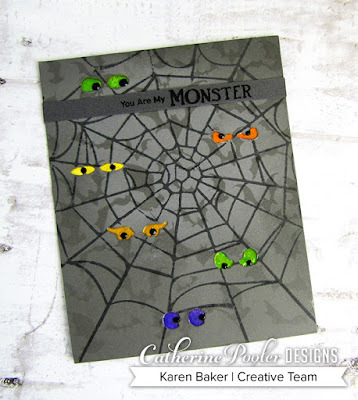 And then there is a special 50% off category sale! That is not all, when Laura celebrates, she likes to celebrate BIG! There are some FREE items with your purchase. 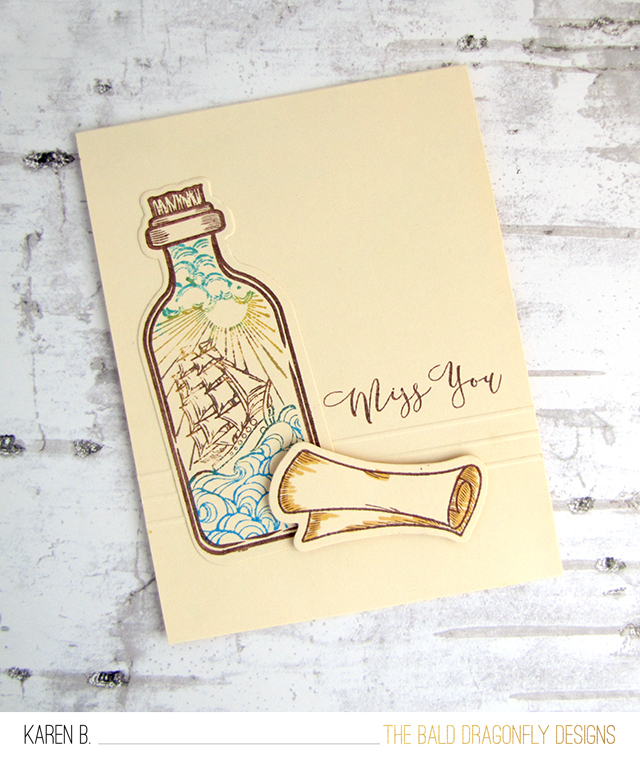 I've featured the Vintage Ink Stamps and Vintage Ink Dies in my card above, I love the airy, whimsical and vibrant look of it! 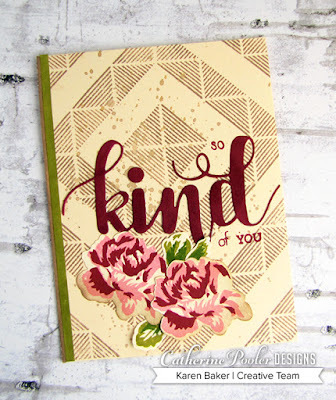 Please help me celebrate by wishing congratulations to Laura and Lil' Inker Designs, and please stop by the store for these fabulous deals! You guys, this has never happened before! Catherine Pooler Designs is having a sale that includes select ink pads! 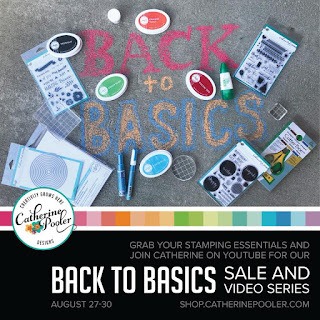 The Back to Basics Sale kicks off today with 18% everything listed in the Back to School category (affiliate links used). 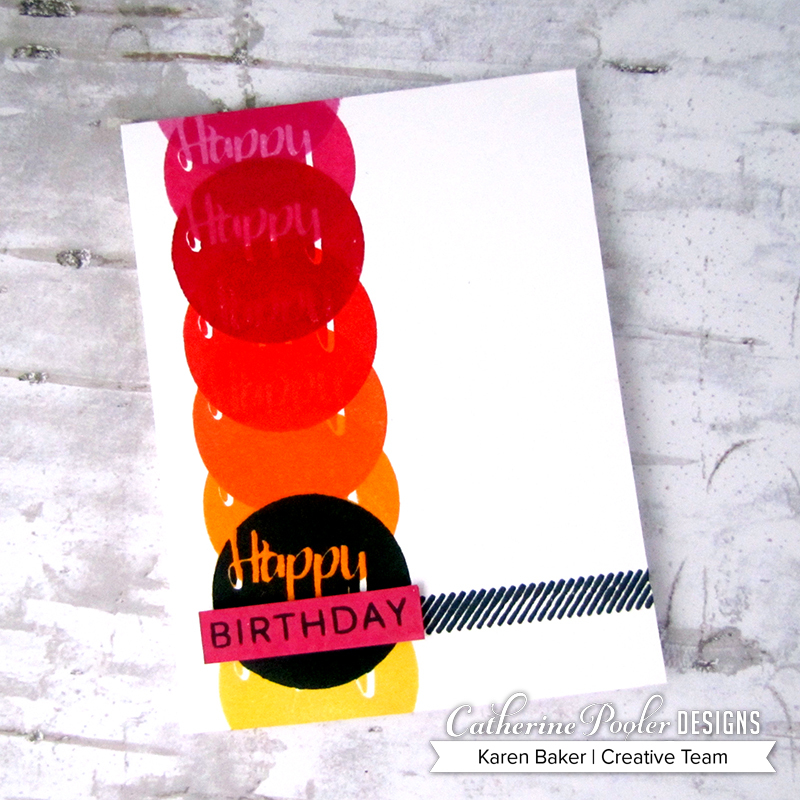 My card today features the Spot On Stamp Set, along with some elements from the For Everything Stamp Set. 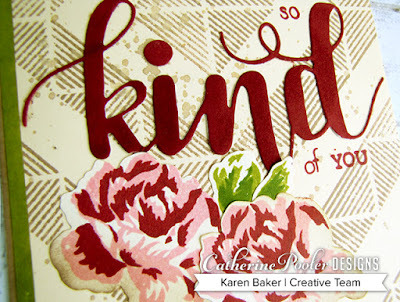 I started with a white card base and used the following inks, from top to bottom: Be Mine, Party Dress, Rockin' Red (on sale! ), Tuiti Frutti, Orange Twist (on sale! ), Tiki Torch, Midnight (on sale!) and Limoncello. 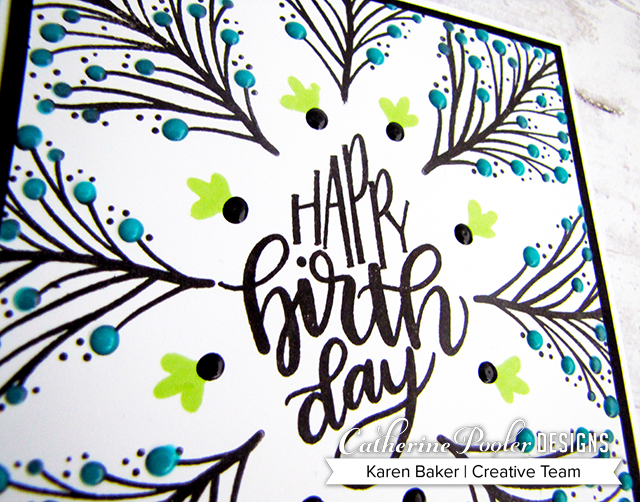 I finished the card by adding a striped detail from For Everything and then popped up the birthday sentiment with dimensional adhesive. 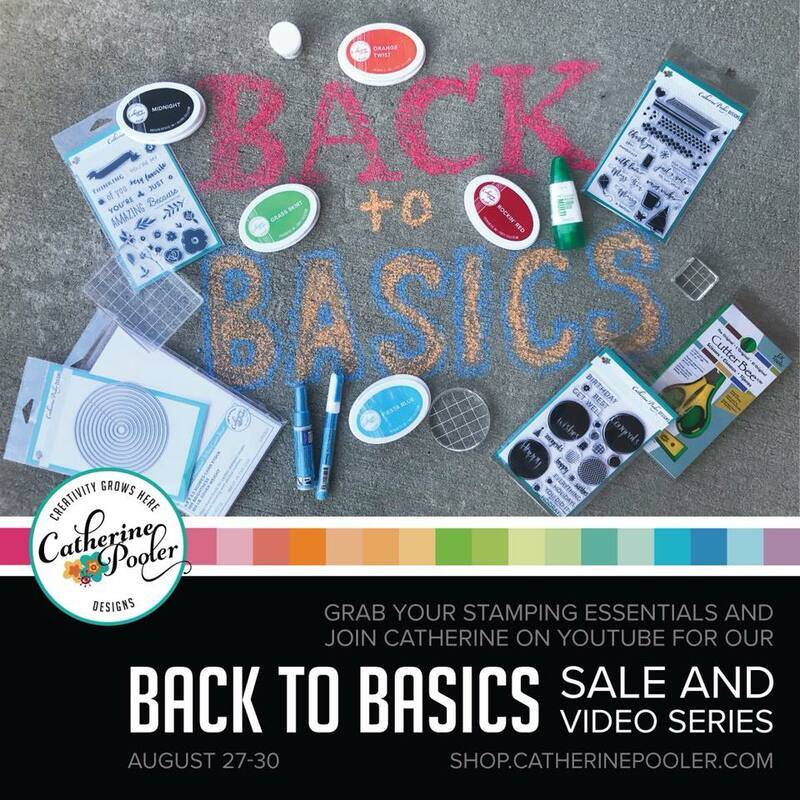 I hope you take a look at the sale, there are many great items included such as dies, adhesives and of course select ink pads! Concord & 9th is continuing their celebration of three years in business and I get to join along in the showcase of their new stamps! Today I am featuring the Thankful Leaves Turnabout Stamp and the corresponding Thankful Leaves Dies (also available in the Thankful Leaves Bundle). I must say, this Turnabout has to be my favorite of the Turnabout Stamps released! 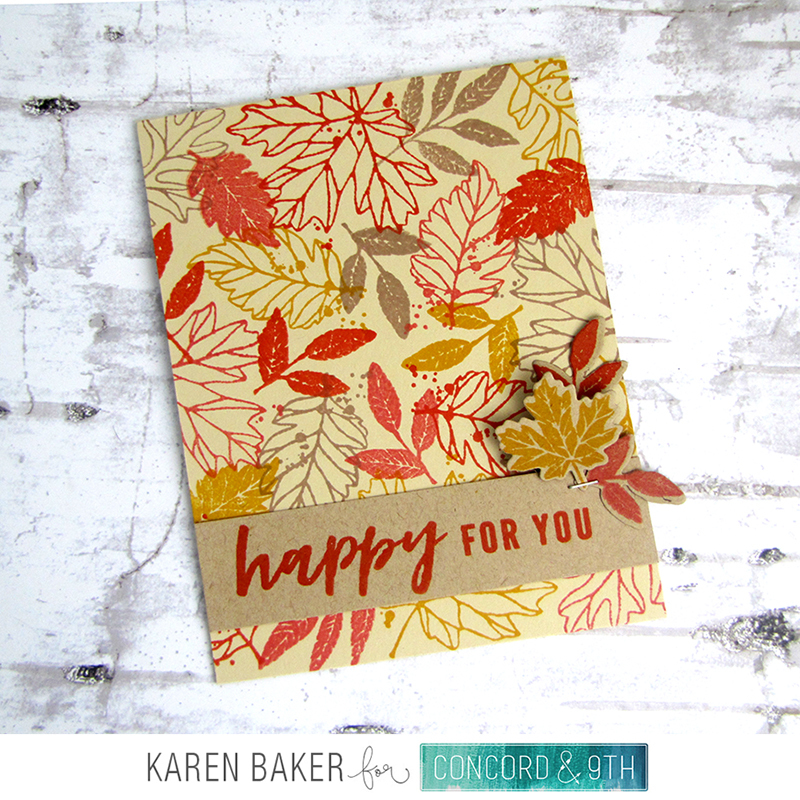 I stamped the Thankful Leaves Turnabout Stamp four times, once in rust, mustard, kraft and orange onto dark linen paper. 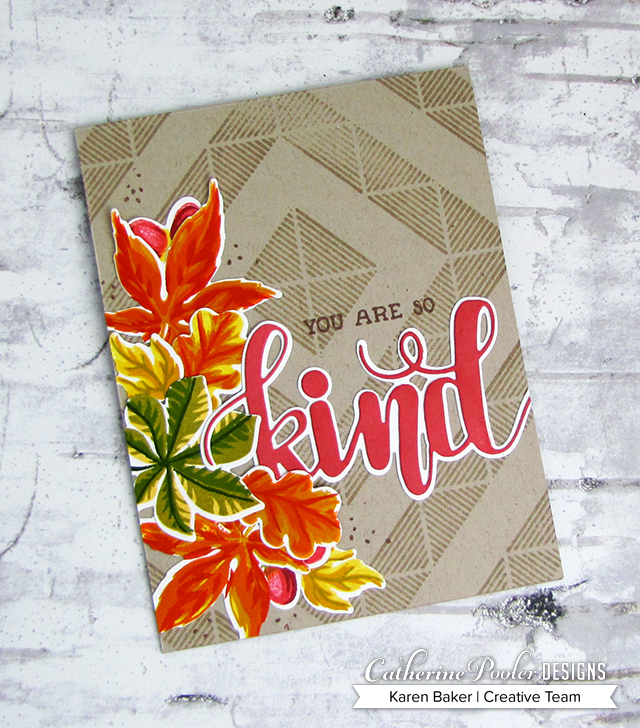 I then added a kraft sentiment strip stamped with a sentiment from the Thankful Leaves Turnabout Stamp, and to finish the card, I added a few free standing leaves die cut with the Thankful Leaves Dies and secured them with a mini staple. 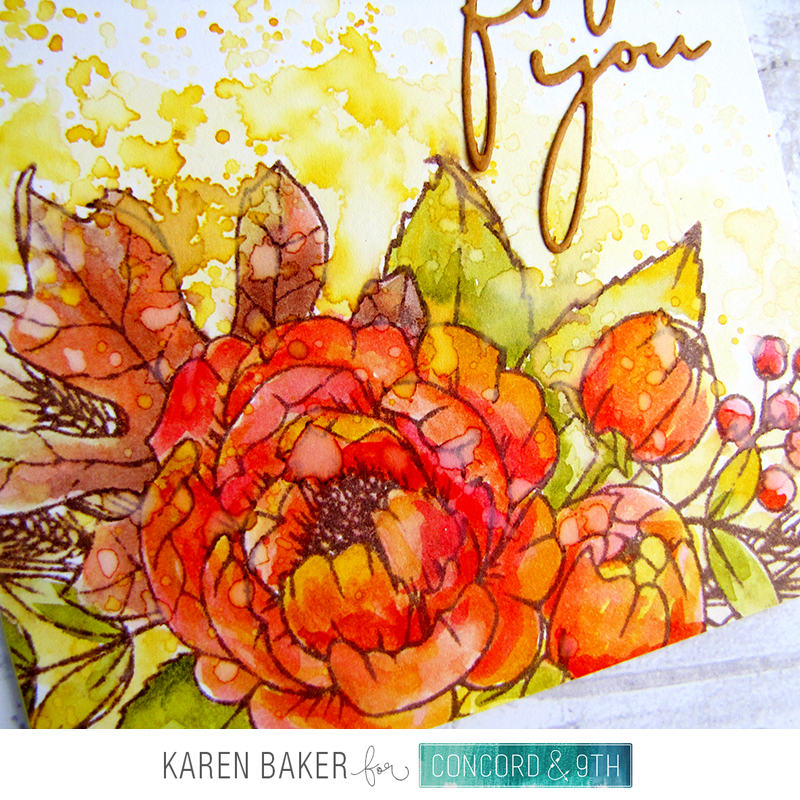 Concord & 9th is continuing their celebration of three years in business and I get to join along in the showcase of their new stamps! Today I am featuring the So Happy For You Stamp and Floral Hoop Die Set. The So Happy For You Stamp Set features gorgeous flowers, leaves and sentiments to create a lovely wreath, in conjunction with the coordinating Floral Hoop Die Set that includes the awesome "hoop." The background is created from the ever trendy new Shiplap Sentiments Stamp Set! 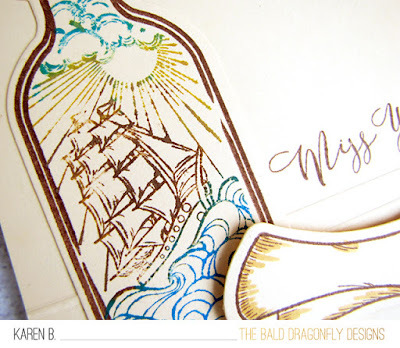 Spellbinders has teamed up with the designer Stephanie Low for some beautiful stamp and coordinating die sets, the collection is called Inked Messages. 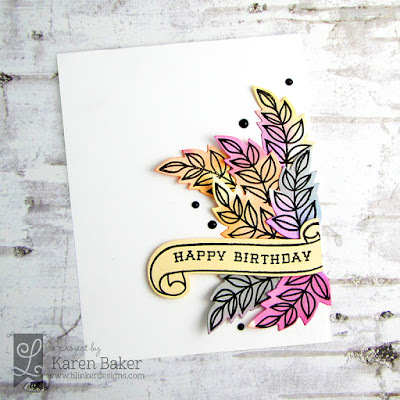 I was fortunate to be sent some of these products to create with, and my first card today features one of the stamps and dies from A Little Birdie Told Me. 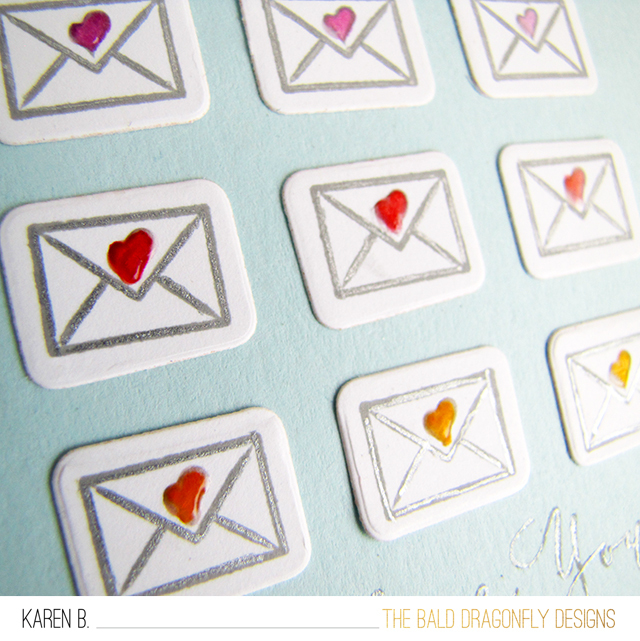 I stamped and die cut 12 envelopes and added a bit of color to each heart, along with some glossy accents. (Sentiment is from Catherine Pooler). Love little images that can be lined up in a row! 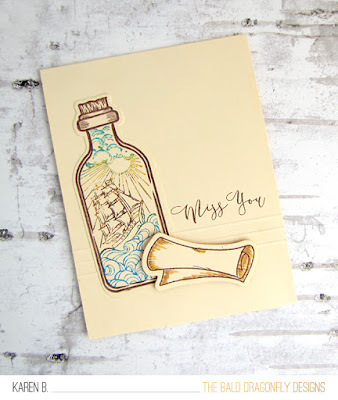 My next card features the Message in a Bottle Stamp and Die Set. I used distress oxide inks to roughly color the beautiful bottle image, and then added a bit of scored lines for detail. 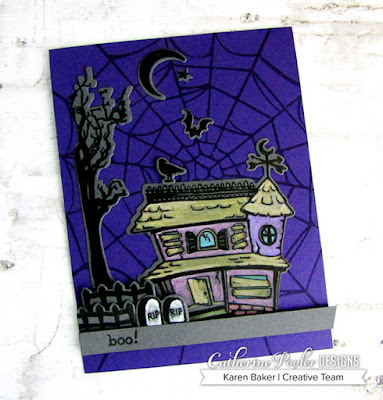 Spellbinders has some really cool sets in the collection, I hope you get a chance to check them out! 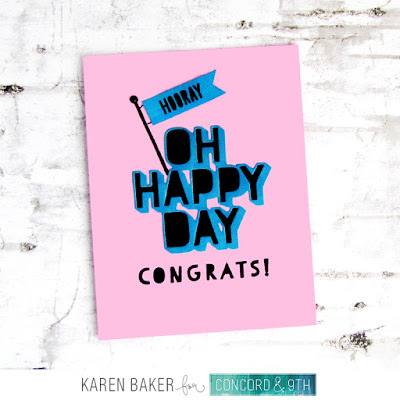 Nothing says "congratulations" like saying "Oh Happy Day!" Love this sentiment! Concord & 9th is continuing their celebration of three years in business and I get to join along in the showcase of their new stamps! 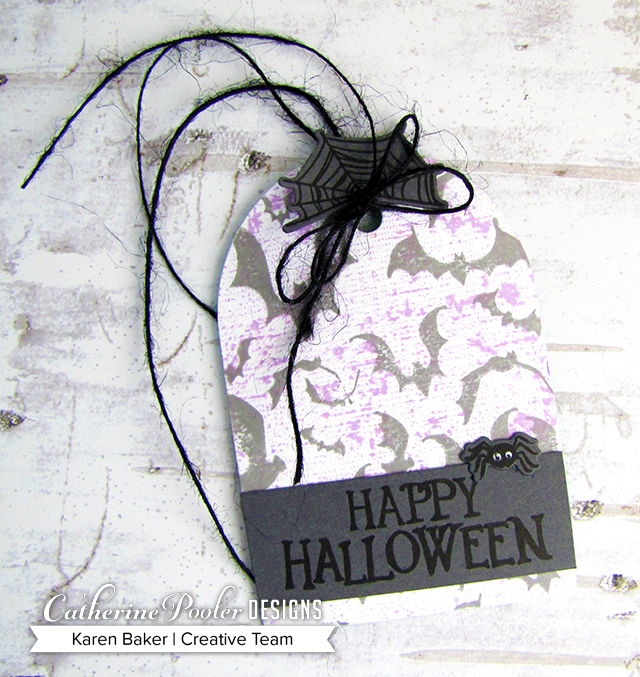 Today I have used the their new, innovative Top it Off Stamp and Die Set. What I did was stamped "Oh Happy Day" and "Congrats" in black onto pink cardstock. 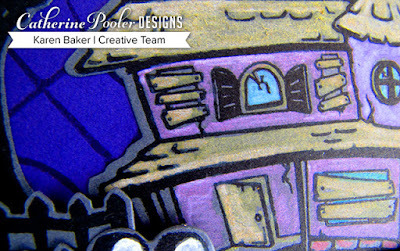 Then I die cut the sentiment from blue, and adhered it over the stamped image for a cool dimensional look. 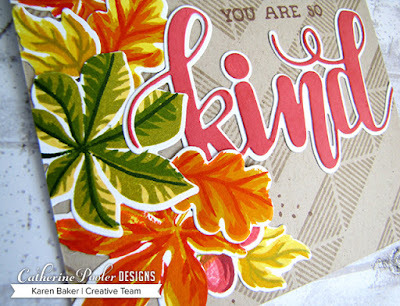 I finished the card by stamping a flag pole, die cutting the banner and then stamping onto the banner as well, all from products from this bundle! 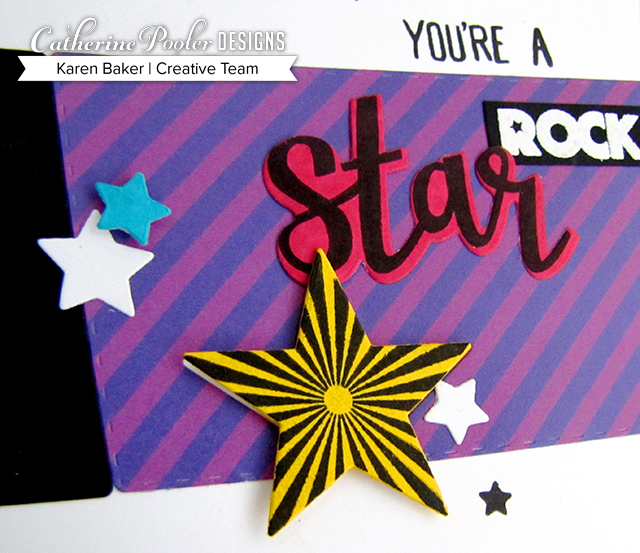 This next card features all products from the same card I used above, the Top It Off Stamps and Dies! I chose a purple card base and stamped the layers of the cake with various shades of purple. 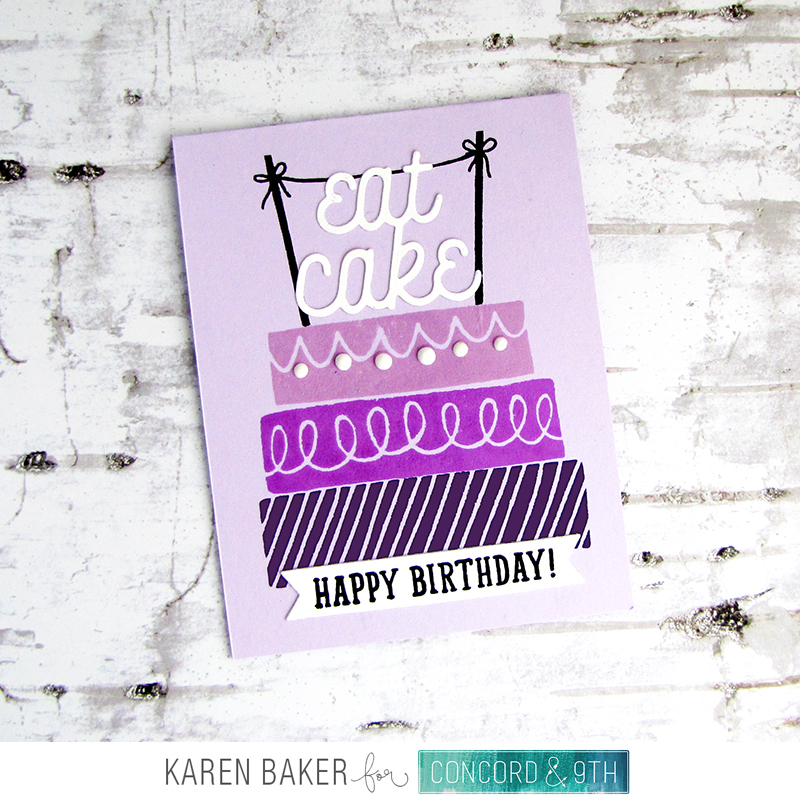 I stamped the banner poles in black and then die cut the "eat cake" sentiment and adhered it to the card base. I love that there is a classic banner die in this set as well, so I die cut it and stamped the Happy Birthday sentiment. 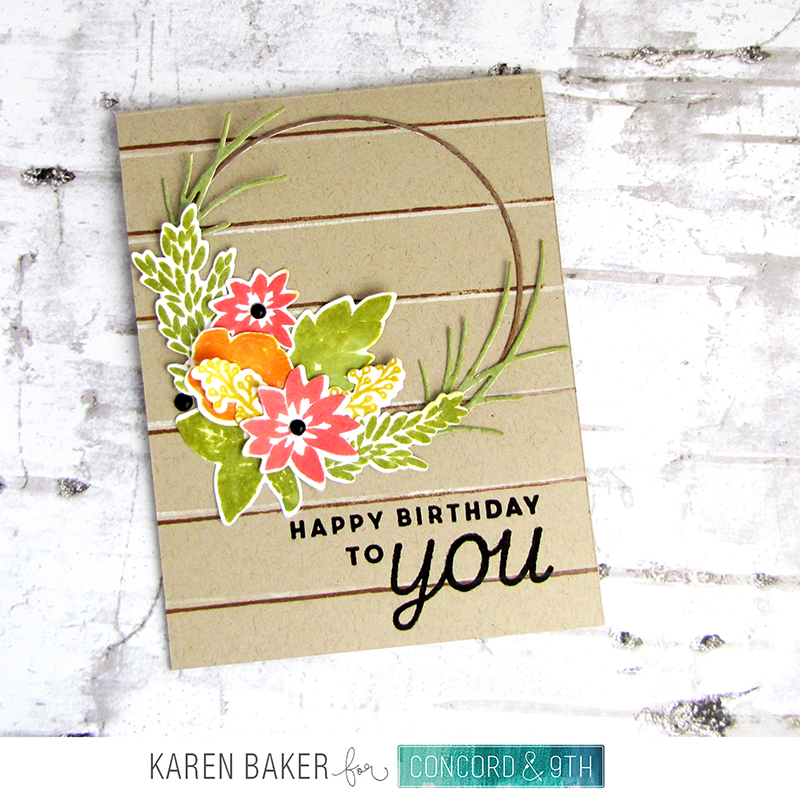 WC9 Challenge:: Anything Goes- Concord & 9th's Third Birthday! This is so exciting! 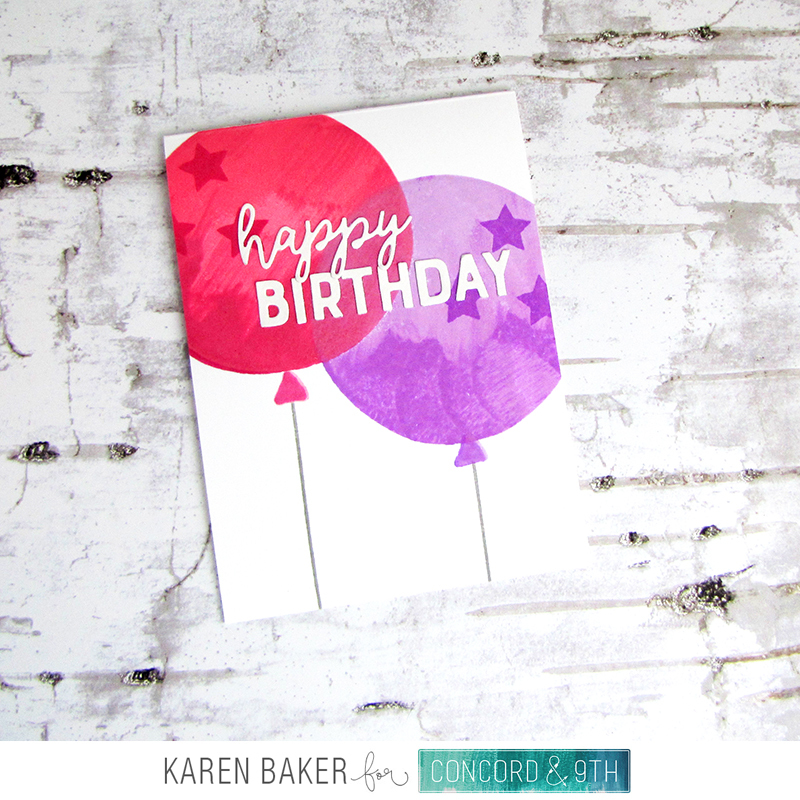 Concord & 9th is celebrating THREE years in business and they have a fabulous release! 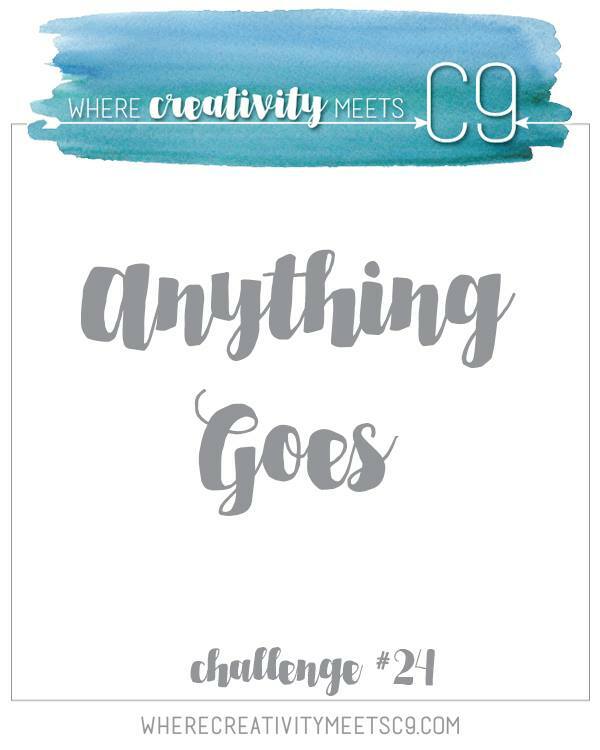 I'm so excited to be participating with my Where Creativity Meets C9 teammates and Concord & 9th by showcasing their new August products, and it works perfectly for the new August Challenge: Anything Goes! 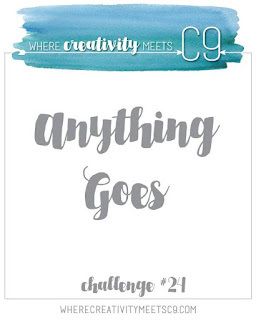 To help celebrate, the Where Creativity Meets C9 Challenge has an Anything Goes theme this month, where you can join in and help celebrate the goodness of what Concord & 9th is all about. I created these two cards today with the new Birthday Dies and Birthday Balloons Stamp Set Bundle. This is a FREE bundle with a qualifying purchase over at Concord & 9th. (Visit the Concord & 9th Promo Page and it will have all the details on how you can get this set!) 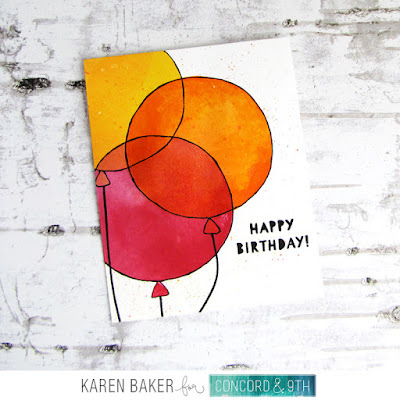 I stamped the solid balloons and finished the card with some doodling. 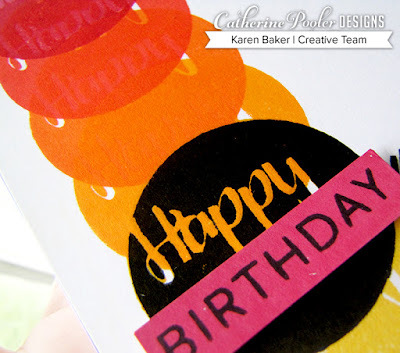 Such a fun and easy bundle to create birthday cards!